Optionwisdom publishes unusual activity trade alerts along with income producing calls for their members in the options market. They believe that unusual activity at price action happens because of smart money flow, which they’ve figured out how to predict. So, by being able to detect such activity, and finding proper direction from these event areas, can help traders generate handsome profits. Besides sending trade alert signals, they have also opened a learning section on their website. So, members can learn how to trade the options market while enjoying the signal services. They also provide dedicated support so that clients can get proper treatment of each query. You can get in touch with support by simply by filling out their contact form to email. Phone: 886-862-8616, Skype: optionwisdom. Except for Sunday, they answer the queries every other day of the week. Expect very fast response times, and feel free to email them before you sign up to see if you like how they operate in this manner. Option wisdom serves the daily market updates on a regular basis to their members. The updates are sent through emails which carry directional option alerts, real-time trade alerts, weekly recaps, performance analysis reports, and fundamental issues with explanations. Right now they are offering a 14-day free trial so interested traders can get a taste of their service and performance before committing to a long term plan. This approach is seen frequently in the highest rated binary options signals and software products, which is apparent in my most recent review of Options Payday Alerts. However, the features vary depending on the membership that you sign up for. Unusual Activity Alerts: Optionwisdom market experts monitor the price action changes and the trade volumes closely to detect any unusual activity takes place in live markets. They claim that such activity leads them to detect the smart money flow, and the best trade setups from the right market areas as well. Such an approach allows them to take the advantage of large volume trades before the momentum shifts in the other direction. 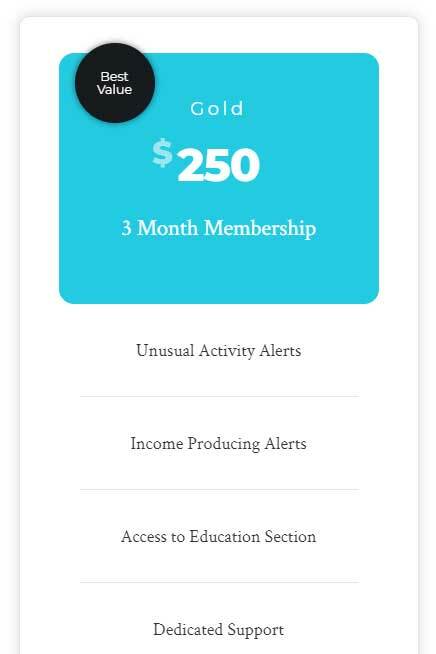 Income Producing Alerts: You get specific trading recommendations delivered directly to your inbox. The service provider claims, unusual activity predicting a market break out or a credit spread has an 80% chance of succeeding, you will receive an instant trading alert sent straight to your email, which you can access from a mobile device also. Besides, You’ll receive weekly risk analysis that describes open and closed positions recommended by their trade alerts. Trial membership doesn’t include this feature. So, you only get access to this section as soon as you subscribe as a gold or silver member. Access to The Education Section: This section helps you to learn and to have a full insight of their trading strategy. They’ve also added some video lessons in order to keep the learning process much easier. If you find this strategy useful and can cope yourself with the trading system then you can also work out to generate the trade signals on your own. Dedicated Support: The private helpline section at the member’s area helps you to contact them immediately for any query. Their dedicated email address to the clients is another option to reach them from anywhere. An alternate way to generate income selling options is to use a credit spread strategy. A credit spread strategy allows you to generate premium as well as protect yourself against an unfavorable move in the market. The two most extensively used vertical spread is the bull put credit spread and the bear call credit spread. Each of these spreads allows you to receive the premium, and cap your losses. Optionwisdom doesn’t promise 100% loss proof service to their clients neither they are responsible for any damage done to your capital. They do not claim a “100+ winning trades in a row” kind of achievement. All they claim is, that their signals are able to follow the smart money and detect the unusual activity in the marketplace, this is the unique and interesting part of their service. Anything to add? Leave your comments and ratings below. Summary: This options signal service helps traders by providing them with market fluctuations that the majority of traders don't notice. They feel that this competitive advantage, is something only they can offer the community, due to their expertise.